You finally found your dream home and feel like you’re ready to start down that road to homeownership. It’s such an exciting time! But with so many fees and payments, you start to wonder if you are really ready. 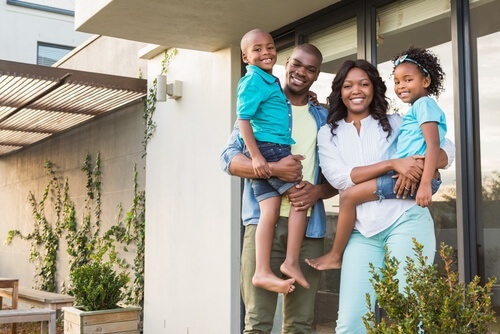 Do you have the funds to cover all the costs or should you wait longer before purchasing a home? The good news is that you don’t have to wait! You’ve got a few options for paying closing costs. It helps to understand what is included in closing costs and how they can be paid. Closing costs are the extra expenses beyond the home’s purchase price. The costs can generally range from two to five percent of the loan amount. Closing costs usually include origination fees, property taxes, charges for title insurance and escrow costs, appraisal fees, and more. Closing costs vary according to the area and the lenders used. How Are my Closing Costs Calculated? Closing costs are determined by a combination of third party expenses and lender fees. There are set fees for things like appraisals and inspections as well as adjustable fees that depend on whether you are paying for points, how many days of property taxes need to be collected according to the closing date, etc. You can estimate your closing costs when buying a home to get a general sense of your total fees. When you apply for a loan, the lender will provide you with an estimate of your closing costs within 3 days of your application so you will know ahead of time how much your costs may be. You will also receive a final closing disclosure before the loan closes, that lays out the final amount. You can choose to pay the closing costs out of your own pocket at the closing appointment (usually with a cashier’s check). This will keep your loan rate intact and avoid increasing your mortgage to cover costs, meaning lower payments. 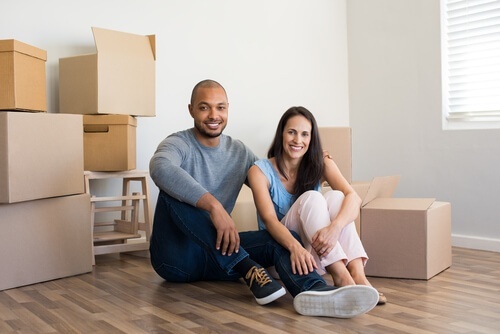 Depending on the loan amount and additional fees, this may be money that you could better use by investing or covering costs of moving into a new home. You can choose to roll the costs into your new mortgage loan so that you don’t have to come up with additional funds at settlement. This will be less of a burden financially now, but it will increase your mortgage amount and monthly payments a bit, as well as increase the loan-to-value ratio. You can choose to have the lender pay the closing costs, known as a low-cost or zero-closing cost loan. Choosing this option saves you the extra funds now and does not increase your loan amount. These loans typically have a higher interest rate, which will mean higher monthly payments. When you’re saving up money to purchase a home, keep in mind that there are a few possible expenses to plan for. These include the down payment, closing costs, moving expenses, and your first couple of mortgage payments. But don’t be overwhelmed by all of these expenses. You have ways to keep these costs lower. Down Payment - This could be lower than you think depending on what type of loan you choose. As mentioned above, you can decide to roll closing costs into a loan or have the lender pay them. Moving Expenses - These can be lower if you round up family and friends to help and do most of the cleaning, prepping, packing, and moving yourselves. Mortgage Payments - The first month of your new mortgage, there will not be a monthly payment due, so you’ll have a little extra time to build up the next mortgage payment ahead of time. It’s always good to have options and now you know that you have different ways to cover your closing costs. APM loan advisors are happy to help you consider which option will fit your situation. Chat with us today and get ready to start your homeownership journey!